As Bogotá’s population and economy has grown, urban and rural systems have become increasingly fragmented. The city’s development plan seeks to address this by engaging communities in the protection and recovery of water-related ecosystems. 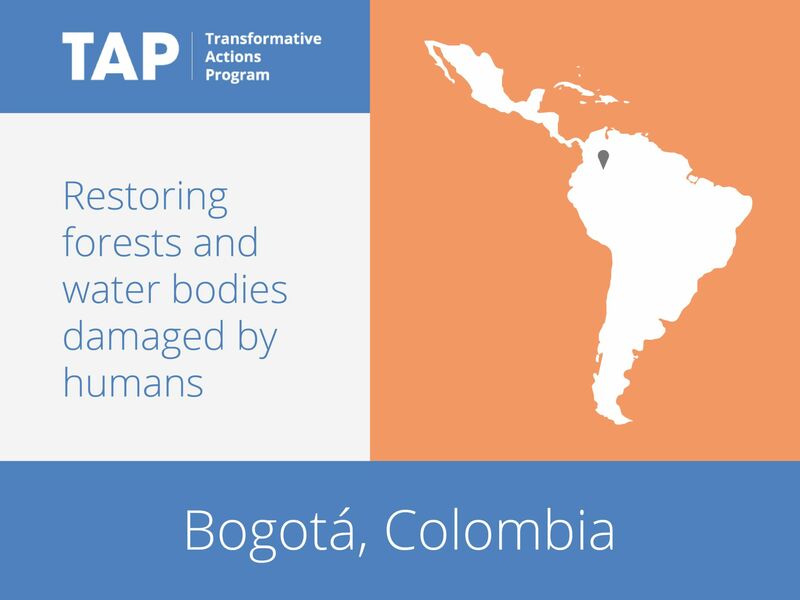 The projects will reduce soil erosion and improve the quality of water in the streams and rivers, improving the health of Bogotá’s citizens. By recovering the structural features and ecological processes damaged by human activity, the project will also increase resilience and contribute to climate change adaptation.